This Moroccan Carrot Salad is clean-eating heaven. 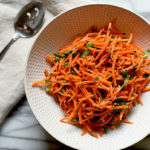 It combines crunchy carrots with an exotic blend of spices and a simple dressing made from olive oil and tangy lemon juice. Together, these ingredients make one zesty salad! It’s bold flavor comes from a blend of spices you won’t soon forget. Cumin, paprika, cinnamon, and cayenne pepper accent the natural sweetness of the carrots. Don’t want the heat? You can reduce the cayenne pepper, or omit it altogether. 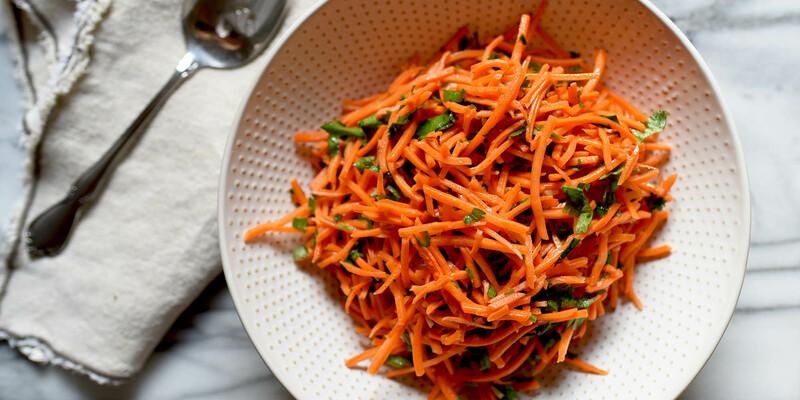 Chopped fresh cilantro adds color and bright flavor to this carrot salad. Not a big fan of cilantro? Swap in parsley. 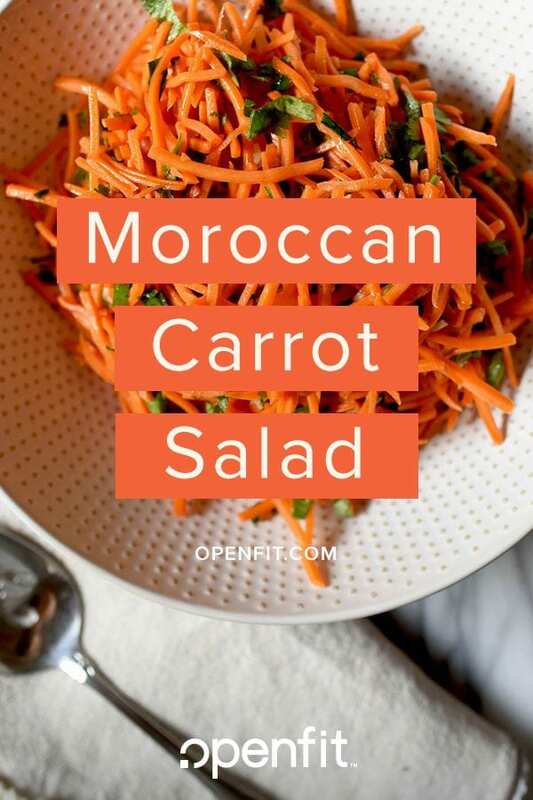 This easy, healthy Moroccan Carrot Salad recipe features an exotic blend of spices and a light lemon dressing that is clean eating at its finest. Combine carrots, oil, lemon juice, cilantro, garlic, cumin, paprika, cinnamon, salt, and cayenne (if desired) in a large bowl; mix well.